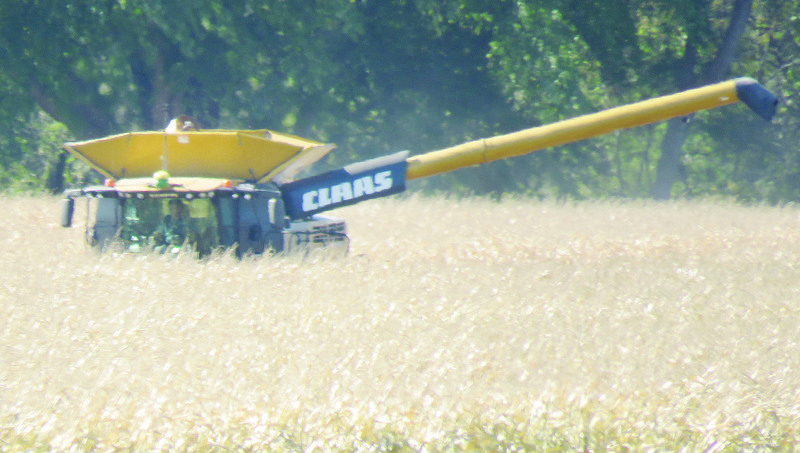 Only the top portion of this combine is visible as it moves through a cornfield along Y Road. Skies cleared and harvest continued through most of last week in Boone County. Soybean harvest was estimated at 60-70 percent complete in the county as of Monday, and corn harvest was 20-30 percent complete. Dry weather is aiding progress again this week. Nebraska’s statewide corn and soybean harvest was lagging considerably behind both last year and normal due to rainfall over the past two weeks. Corn harvest statewide was estimated at 17 percent complete through the second full week of October, well behind the 39 percent average and last year’s 32 percent. Soybean harvest was estimated at 33 percent complete, also well behind the 67 percent average and last year’s 59 percent. Read more in the Oct. 11 Albion News Print and E-edtions.